It is getting busy, few wedding dresses have been altered and more work is coming in. If you need any clothes alterations or whole new garment do get in touch to make an appointment to discuss your needs. I have decided to make something different. I have funeral to attend and when I was looking at hair embellishments and options to revive my black outfit I realized there was nothing else then white/black or maybe red in shops. None of it was quite what I wanted. 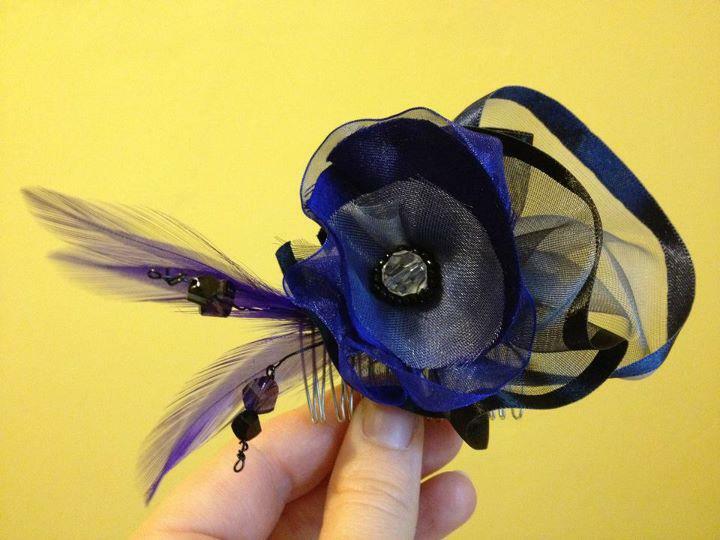 So, here is what I came up with…I can make all sorts of hair fascinators and other accessories. I can make it from materials I source or from material you bring to me. Prices start at £20 per item. It is getting busy already, despite of Xmas festivities. I have been busy working on useful things needed around the house: oven gloves, storage for plastic bags, tie backs for curtains, apron for cooking….and in between alterations for our customers. If you would like to give someone as Christmas present something simple and useful but pretty at the same time, do let us know. We can make you a set from any fabric you chose or bring. 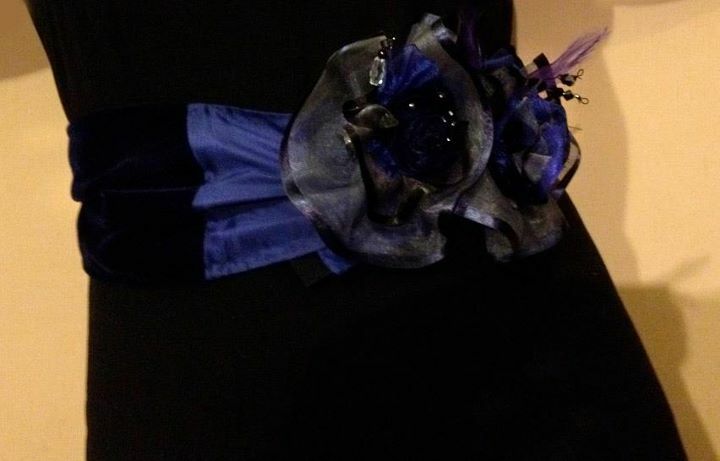 I will add photos of new items soon. Welcome to our new website. We are group of ‘hands on’ people who saw a need to provide quality needlework services in Cornwall and Devon. We offer sewing services concerning clothes, soft furnishing and upholstery at the moment but more will come to complete the need for skilled people under one roof so watch this space. No matter what you need around your home from maintenance of furniture to dressing the sofa or a window, we can help. We can also offer a unique service to help you achieve the perfect style for you and your wardrobe. If you wish to see some workshops in your area, do let us know and we can put heads together and organize something. So, enjoy our services and stay tuned in !